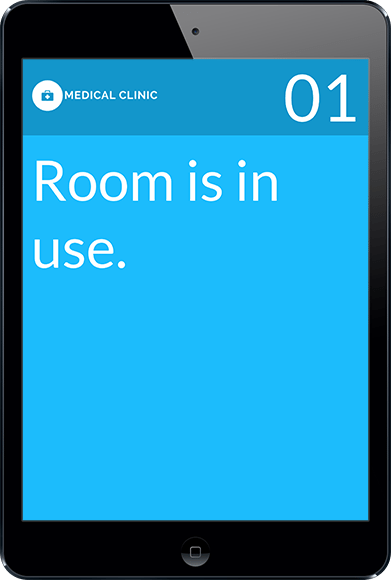 Display examination room status on a tablet or phone. 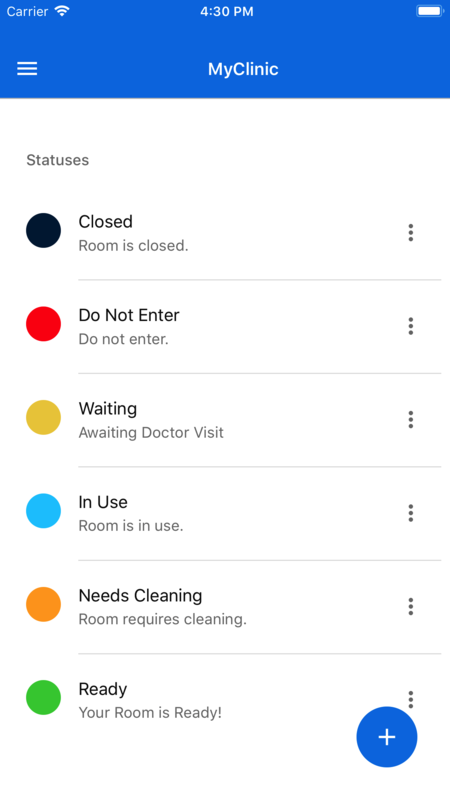 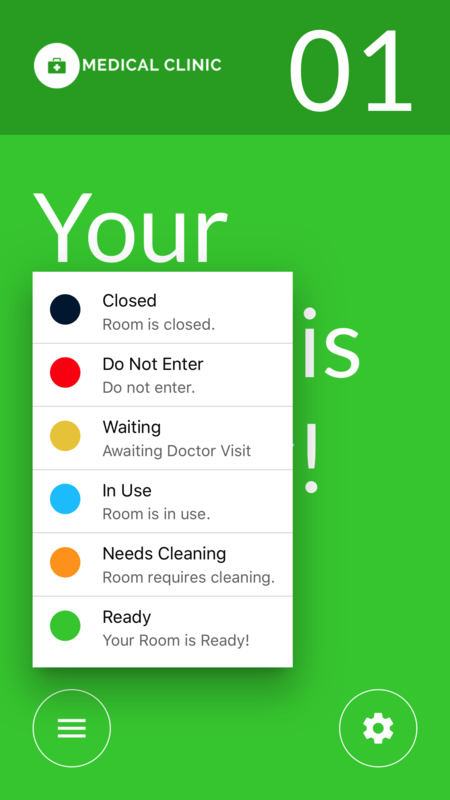 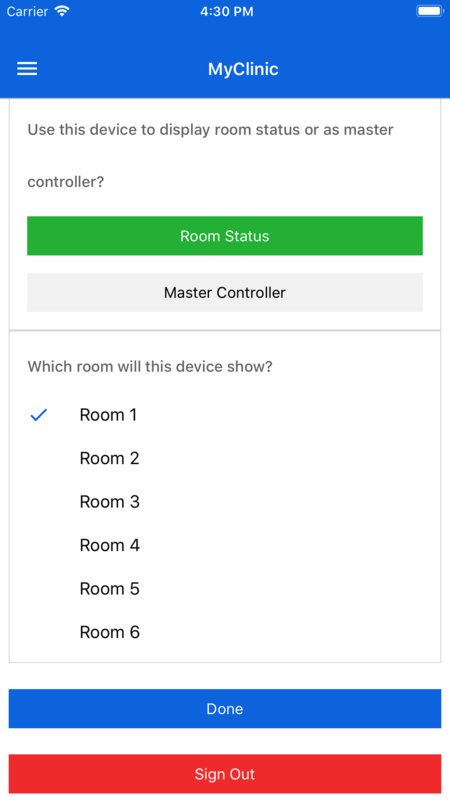 Keep your clinic in sync with current room status, and staff can change status on the screen. 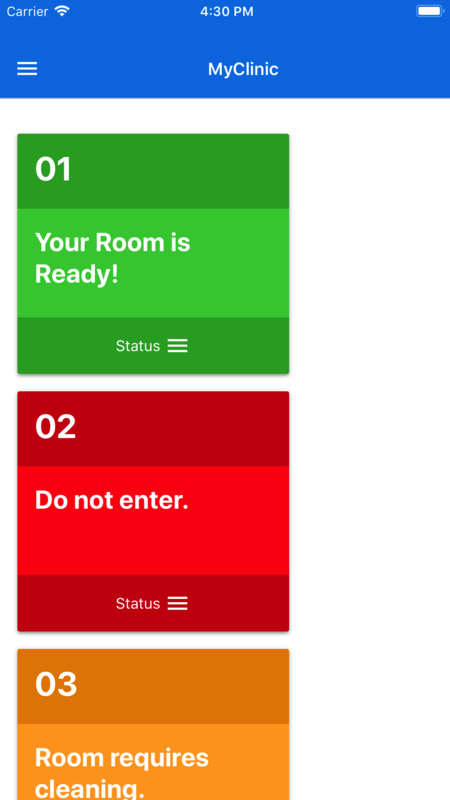 Admin staff can also manage all room statuses from a central dashboard console.